Consider it a reminder for your annual privacy checkup. We know Windows 10 slurps up a lot of data as you use your PC, so you’ll want to check out the additional controls Microsoft is building into future updates. There’s also a geeky new app that will track the raw data. This new app, along with the revamped privacy dashboard, will be part of Windows 10 Insider Preview Build 17083, released Wednesday. Two upcoming enhancements being tested with Microsoft’s Windows 10 Insider beta program—the Windows Diagnostic Data Viewer and updates to the existing Privacy Dashboard—are designed to give users some feeling of control. As Windows 10 continues to collect data, Microsoft has also pledged to allow you to delete specific items that it captures, potentially cutting back on ads related to an embarrassing search term, for example. 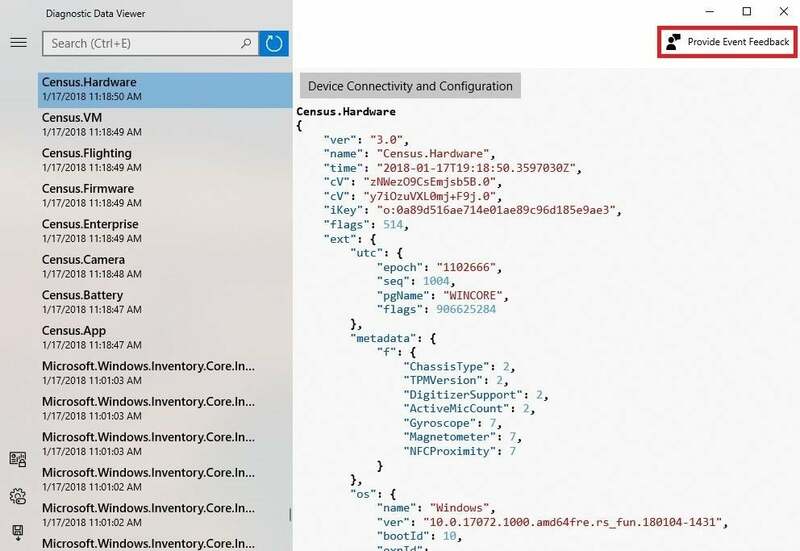 Microsoft already provides a number of granular privacy controls for users to manage (or block) the various forms of data Windows 10 captures, including everything from your location to how you ink on documents. 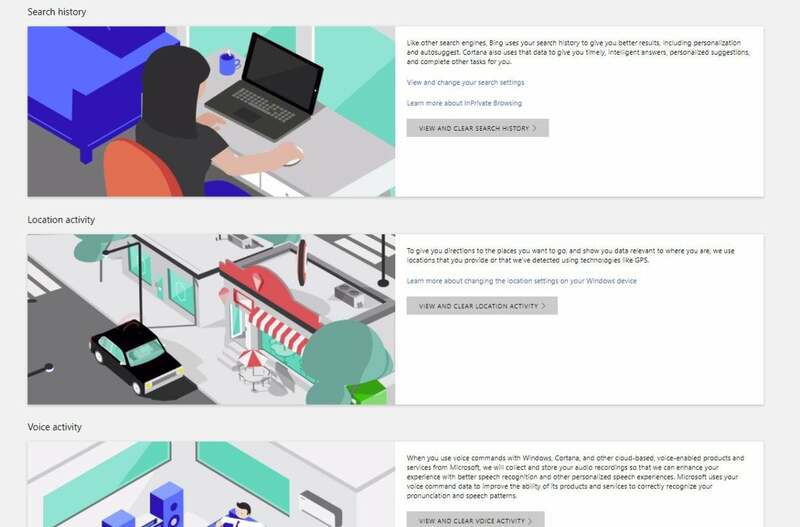 The existing Privacy Dashboard captures everything that Microsoft knows about you, and it’s well worth your time to drill down into the individual sections. Some of them are largely irrelevant, such as the HealthVault information that was tied to the now-defunct Microsoft Band. Others, such as your search history, have immediate impact. Microsoft improved its Privacy Dashboard in two ways. First, Microsoft’s existing “Timeline”-like Activity History will add product and service activity to the dashboard. Second, you’ll be able to delete individual items, and you’ll be able to export more data, too. What this means for you: I choose to allow Microsoft to show me relevant ads in Edge, simply so I can see how my searches determine what ads Windows displays. But we’ve all probably experienced situations where we’ve researched an item, purchased i, and then our browser continues to pop up ads for it. There’s also the more embarrassing scenario: researching a potentially distressing medical condition—and your browser constantly suggests ads reminding you of it! Deleting a specific search query would go a long way toward making your browser experience peaceful again. Granted, Microsoft has yet to demonstrate what the new controls will look like. But there are two aspects of the new Privacy Dashboard that you should find encouraging. First, of course, there’s the option to delete individual pieces of data, item by item. Currently, you can delete your entire search history, but not individual items. (You can also delete individual voice queries.) Few users will probably use this feature on a daily basis, but the increased level of control is a positive step. This is a small snippet of my own Activity History. The vast majority of data that Microsoft tracks involves your search history, though it does record (and keep, for you to listen to) queries made orally to Cortana. More importantly, Microsoft is placing product and service activity on its new Activity History page, demonstrating which apps or services have been triggered, and when. Microsoft also plans to capture information about movies—the video width, encoding type, and encryption, among others—and music and TV, including the number of purchased tracks in a person’s collection. Currently, Microsoft buries this at the bottom of its existing privacy dashboard, summarizing entirely irrelevant data such as when I last used a recorder app for Windows Phone 7 several years ago. Hopefully Microsoft will allow users to see which apps, if any, accessed your search history, microphone, or other controls, as well as drill down into which apps, services, and devices were accessed. Being able to cross-check what Windows and other apps reportedly accessed with your own memory will be handy. Microsoft is also adding an app to show you exactly what data it’s collecting. Dubbed the Windows Diagnostic Data Viewer, it’ll be available to everyone within the Windows Store, though it’s likely you’ll want to pass it over. It’s an app aimed at engineers, and as the screenshot below demonstrates, the data really won’t mean much to those without a working knowledge of code and the hardware properties of their device. The Windows Diagnostic Data Viewer provides a ton of fine-grained data that won’t mean much to the average user. Microsoft says the data that the app will display will include “common” data like the version, device ID, device class, and diagnostic level; device connectivity information like preferences and settings; product and service performance data such as its health and reliability; software inventory data such as installed apps, and so on. Based upon the number of comments PCWorld receives on social media, consumer concerns with privacy and Windows 10 aren’t going away anytime soon. What Microsoft will implement over the coming months—more fine-grained control over what data you allow Microsoft to store, as well as a better-organized privacy dashboard—isn’t a profound change to Windows. Instead, view it as a reminder: It’s time for your annual Windows privacy checkup. This story was updated at 3:40 PM with additional details about Microsoft's plans for media capture.